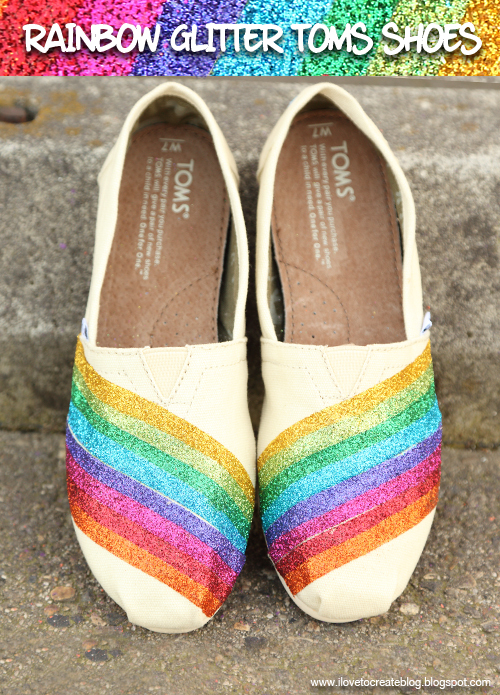 There are so many cool Toms shoes DIYs out there that we love! 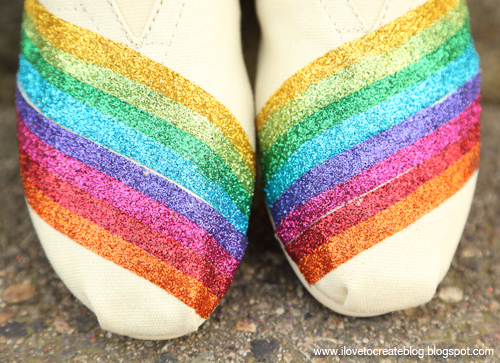 It inspired us to to make our own cool pair that's absolutely over the rainbow!! These are really fun to make using the Tulip® Fashion Glitter™ and the Aleene's® Fabric Fusion® Peel and Stick Tape™. iLoveToCreate designer Lauri Eaton shows you how to get this vibrant look for you pair in the video below! The Fashion Glitters are great not only for shoes, but also for totes, shirts, and other fabrics. They are so sparkly, vibrant, and fun to use! So Cheap!2016 fashion style toms shoes,only $16 to get it immediately!no long time for cheapest.